Disease Alert: Is Your Lawn Moldy? Spring rain, warm temperatures and high humidity create the perfect environment for molds to grow on your lawn. Wow! What a wet and humid spring we’ve had. And, as we head into summer, it looks like the humidity isn’t letting up. Couple that with warm nights and even warmer days, we’ve now got the perfect conditions for fungal diseases in our lawns and landscape plants. And boy, are we seeing them everywhere. Black fungus on the grass can be caused by several different types of fungi. Do you have a St. Augustine lawn? 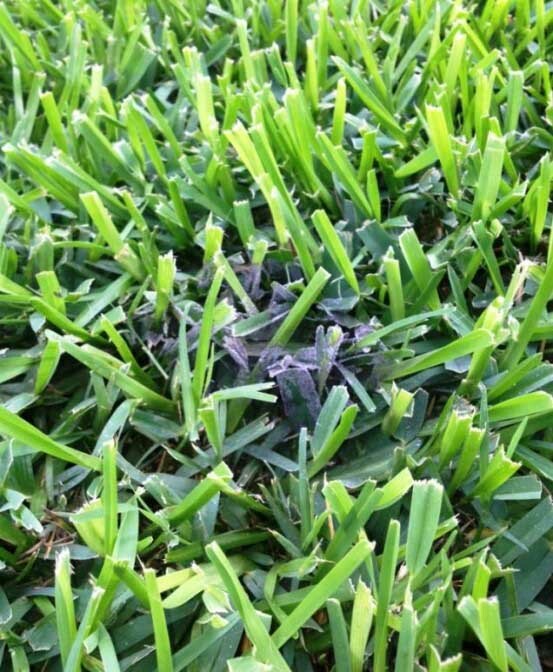 While St. Augustine grass makes a lovely lawn, it also happens to be sensitive to moisture and can develop a number of different fungal diseases. 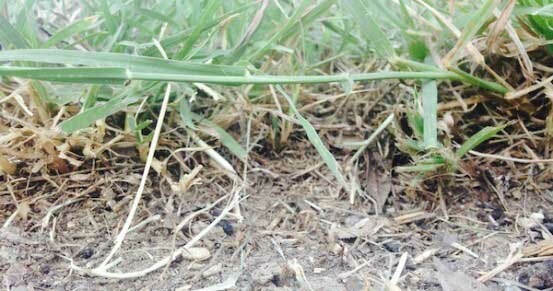 In fact, it’s not uncommon for St. Augustine lawns to be infected with several different fungal diseases at the same time, especially if they’ve been over-watered, watered at night, or there’s been excessive rainfall. Do you notice any patches of lawn with black mold on the grass leaf blades? Maybe some brown or yellowing leaf blades? What about gray spots? If so, your lawn is probably infected with one or more of several common fungal diseases. Slime Mold: This is a powdery, black mold caused by the fungus Mucilago that starts at the base of the stem and works its way up. Brown Patch: Often found in spring and again in fall, Brown Patch, caused by the fungus Rhizoctonia, causes patches of grass to turn yellow or brown and has a rotting appearance. Grass can be easily pulled up from the soil. Gray Leaf Spot: Caused by the fungus Pyricularia grisea, gray leaf spot is easily identified by grayish-brown spots along the leaf blades that spread over time. Eventually, if not controlled, you notice an unsightly brown cast across your entire lawn. Sooty mold: This mold actually grows on honeydew from aphids as well as on slime mold, brown patch disease and gray leaf spot. While sooty mold might not directly harm plants, it does block sunlight from the leaves, weakening the lawn. Visit our Pest & Disease ID guide for insect descriptions, damage they cause and photos. Even with the rain and high humidity, there are cultural practices that can help to mitigate fungal diseases in your lawn. Don’t over-water. If we received at least one inch of rain, there is no need to run your irrigation system for another week. Don’t over- or under- fertilize. Fertilizers too high or too low in Nitrogen can encourage fungal diseases. Avoid watering at night when drops of moisture can sit on leaf blades and temperatures are cooler.Morning watering is best. Reduce thatch. Too much thatch can limit air circulation in lawns, block water from soaking into the soil and also keep fertilizers from getting to the roots. Combined, this reduces overall lawn vigor, leaving it susceptible to fungal and other diseases and pests. A ½-inch thick or less layer of thatch in your lawn is a good your grass is healthy. The best way to avoid most diseases is good cultural care in the landscape that includes attention to soil health. While fungal diseases can be combatted with certain spray treatments, you’ll never get rid of them unless you water and maintain the lawn the right way.